The holiday season is upon us. Most commonly called by humans “December” or the “Season of Giving,” it is a time when all the neopets and their owners gather together in harmony and good cheer, a time for reunion with loved ones, and a time when abundance is felt by all, rich and poor. Owners will roam the newly decorated streets as they search for gifts for their neopets, and those lucky enough will be at the NC mall stuffing their spectacular stockings. The most wonderful time of year is upon us again! 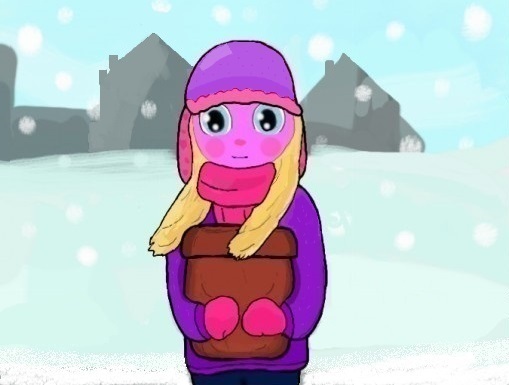 Christmas joy can be heard throughout Neopia for this years Day of Giving. Listed below are some Christmas themed customizations for you to try. Many of us dress up in our neatest and best outfits for Christmas, so why not extend the same to your pets? There is a theme for everyone! It’s the winter season and the month of Celebrating, and what Neopet doesn’t prefer to celebrate in style? 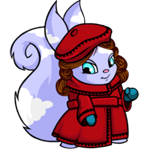 As your Neopet visits the Advent Calendar, it’s the perfect time to show off a fashionable look. One of the key elements of a good look is the perfect wig. This list will highlight some of the best as well as some of the more unique options available to help make your Neopet stand out this season. I jump out of the carriage and scan the area for the driver. I find the orange Acara laying face down in the snow under the wheel of the carriage. "Oh no." Alice climbs out of the carriage after me. She watches as I pull the Acara out from under the wheel, and try to turn him over. I heave a sigh of relief when I discover he's still breathing, and seems to be in stable condition, other than the fact that he's unconscious.